This essay analyzes texts of memorial plaques and inscriptions on monuments commemorating victims of political repressions of the 1920s and 1930s at Sandarmokh in Karelia and on the Solovetskie Islands. The erection of these memorial tokens on the sites of mass graves is seen as one way to approach the historical memory of political repressions in Russia. Inscriptions on monuments not only testify to the special attention given to certain social groups of victims but also create distinct hierarchies and interpretative models reflecting attitudes towards the persecution of the diverse social groups that erected the monuments. The author suggests that the practice of installing memorial plaques to commemorate the repressed is rooted in the tradition of placing memorial plaques in urban spaces. Both types of memorials are relatively easy to install (especially as compared to constructing a memorial complex) and both are transient by nature, always ready to be turned into a monument, museum, or a memorial complex— or to vanish altogether. However, in contrast with urban memorial plaques marking sites of birth, work, or major life events, memorial signs on mass grave sites refer to places of death. For this reason, creators of these commemorative texts are compelled to go beyond biographical details, such as dates of birth and death, and to articulate their attitude to the deceased’s violent death. Consequently, the memorial inscriptions at Sandarmokh and the Solovetskie Islands are less formal than the more standardized texts of urban memorial signs, bearing witness to interpretations typical of the groups that erected the monuments. The relative ease of installation explains the popularity of this particular kind of commemoration of mass grave sites. Along with influential public organizations and religious and ethnic communities, local residents also make their presence known in the memorial spaces of Sandarmokh and the Solovetskie Islands by mounting photographs of their repressed family members onto trees and crosses. As a result, the many memorial plaques all along Avenue of Remembrance on the Solovetskie Islands and at the site of Sandarmokh constitute a specific feature of commemorating Soviet repressions and illustrate the diversity and heterogeneity of this memory. Liutynskii, Anton. 2018. “Memorial Inscriptions to Commemorate Repressions: The Solovetskie Islands and Sandarmokh”. 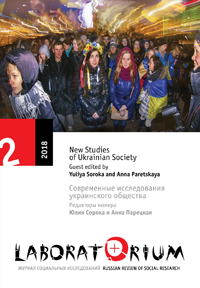 Laboratorium: Russian Review of Social Research 10 (2), 149-56. http://www.soclabo.org/index.php/laboratorium/article/view/814.